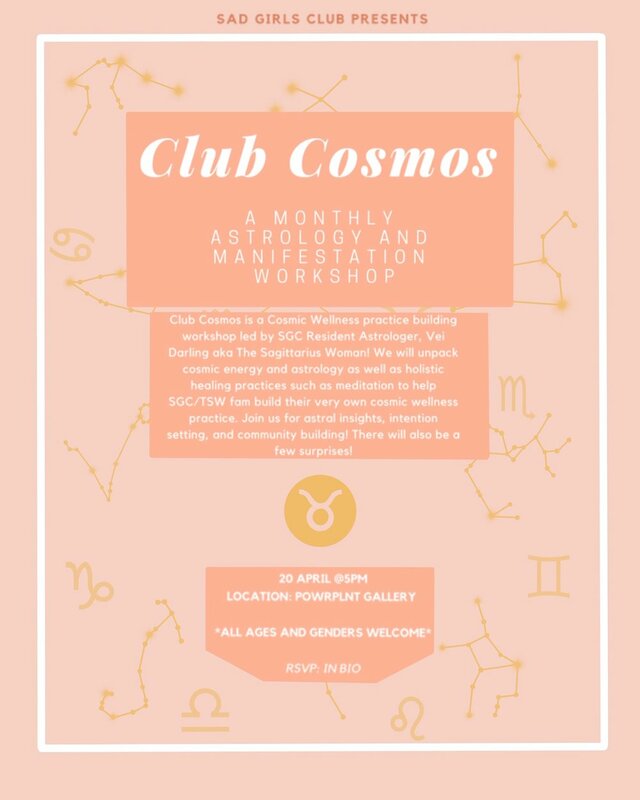 Club Cosmos is a Cosmic Wellness practice building workshop led by SGC Resident Astrologer, Vei Darling aka The Sagittarius Woman! We will unpack cosmic energy and astrology as well as holistic healing practices such as meditation to help our SGC/TSW fam build their very own cosmic wellness practice. Join us for astral insights, intention setting, and community building! There will also be a few surprises!